Watch for a sequel to Degranon: A Science Fiction Adventure. I'm working on it now, but it could take quite a while. Some excerpts from reviews of Degranon appear below. 2009 will mark the 10th anniversary of when my first book, The Acorn Stories, first went into print. The ebook release reached its 10th anniversary this year. VIEWS FROM THE ACORN UNIVERSE, 5/29/08. This week, Charlie Jade and gay films. 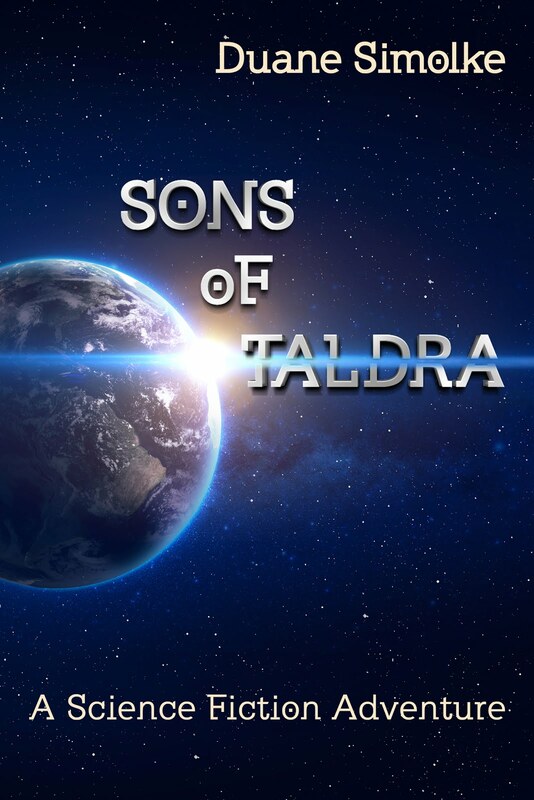 Charlie Jade, a Canadian and South African co-production, will become part of the SciFi Channel’s SciFi Friday line-up on June 6. From what I’ve read, this popular series is a gritty murder mystery that crosses dimensions. View the Charlie Jade trailer at YouTube. My review of the DVD Not | Gay will appear soon at the gay site ThisWeekInTexas.Com. Frameline Films released that short film collection, distributed by Strand Releasing Home Video. Besides bringing gay films to viewers at home, Frameline also organizes an annual film festival. Frameline32: San Francisco International LGBT Film Festival will run June 19-29, 2008. Besides screening various gay classics, the festival will also introduce audiences to many new films. This year’s program includes the following, and much more. In Breakfast With Scot, two uptight gay man adopt a flamboyant boy. In Another Gay Sequel: Gays Gone Wild, characters from the outrageous comedy Another Gay Movie decide on a new contest. The documentary Be Like Others introduces viewers to the transsexual community in Iran, while Call Me Troy reintroduces us to Metropolitan Community Church founder Troy Perry. Tilda Swinton stars in and produced Derek, a doc about filmmaker Derek Jarman. The Gay Bed and Breakfast of Terror spoofs horror movies and the ex-gay movement. The short film Just Me? involves a young lesbian’s discovery that that she might not be the only pink sheep of the family. This week, Stargate Atlantis, War Games, Marvel, Prince Caspian, In The Closet. According to GateWorld, Stargate Atlantis will begin Season Five on Friday, July 11. That site also includes details about the new season, and the new SG1 movie, Stargate Continuum. Wednesday, May 28, is my forty-third birthday. Of course, all I want for my birthday is for more people to order Degranon: A Science Fiction Adventure or The Acorn Stories. That sounds reasonable. And speaking of things that have been around for a while, July 29 brings us War Games (25th Anniversary Edition) and the new direct-to-DVD sequel War Games: The Dead Code. It could feel like 1983 again, if only I heard Duran Duran playing on the radio. Oh, wait. For something younger, yet older, Ben Barnes Goes from Prince Caspian to Dorian Gray. Marvel Studios, oh so giddy over its Iron Man money machine, announced details of upcoming comic book films, and a bit of trivia about a Captain America allusion in the Iron Man movie. The Iron Man movie lives up to its hype, by the way, but will The Incredible Hulk? Publicity photos are now online for the gay-themed short horror film In The Closet. Pictures include a behind-the-scenes look, as well as an album with stars J.T. Tepnapa (Star Trek: Phase II) and Brent Corrigan (Another Gay Sequel). Watch for a TV season heavy in science fiction, fantasy, and horror. Details about some of the networks’ plans for 2008/2009 follow. SciFi Channel, as usual, won’t wait until the fall for new scripted programming. While the current Friday night line-up will continue for a while, viewers can also look forward to a third season of the quirky hit Eureka on July 29. For fans of gay-themed shows or movies, Logo will offer Sordid Lives: The Series, starting July 23. The movie Sordid Lives continues to grow as a cult classic. Here in West Texas, many viewers cringe while they laugh, because some of the characters in that comedy remind us of people we know! 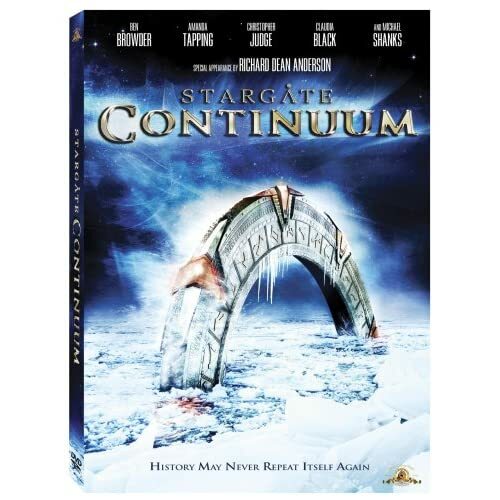 The cover of Stargate Continuum, the second direct-to-DVD feature. Here TV will premiere Kiss Me Deadly, a gay thriller starring Queer As Folk’s Robert Gant, on May 2. Directed by Ron Oliver (Third Man Out and Shock to the System), this original film also stars Shannen Doherty and John Rhys-Davies. A&E Television is offering an exciting original as well, a miniseries of The Andromeda Strain. The cast includes Benjamin Bratt, Andre Braugher, Ricky Schroder, Christa Miller, Lost’s Daniel Dae Kim, and Will & Grace’s Eric McCormack. io9 has posted a Complete Guide to Science Fiction Season.